Lamar Hostel v Hebron, Palestina: Zarezervujte nyní! 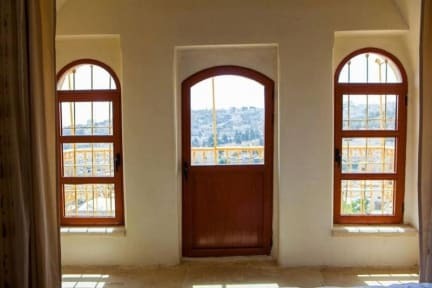 The Lamar Hostel building is one of many renovation projects undertaken by the Hebron Rehabilitation Committee (HRC), which works to provide decent living conditions for Palestinians living in the Old City. By choosing Lamar, you’re choosing to help fund future restoration and rehabilitation projects aimed at improving the local residents’ quality of life. 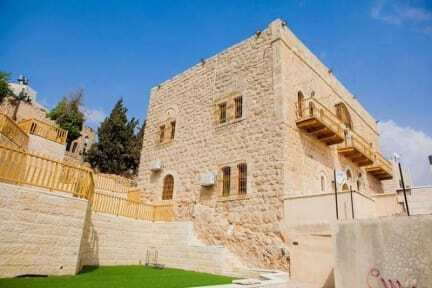 Located in a beautiful neighborhood on the northern edge of Hebron’s Old City, we are just a five-minute walk from the from the main taxi station, the market and numerous local restaurants, as well as Hebron's famous Ibrahim Mosque “Tomb of The Patriarchs”. We offer comfortable and relaxing accommodation with options ranging from a five-bed dorm, to private double-bed rooms. Our rooms feature TV, a mini fridge and closet space. Private and shared bathroom facilities, depending on room type. Breakfast included. Breakfast is from 8:00 am to 10:00 am each morning.